Angels are supernal beings created long before humankind. The word “angel” is derived from the Greekangelos which means messenger, and the chief function of angels is to shuttle messages of prayer between humans and the Divine. 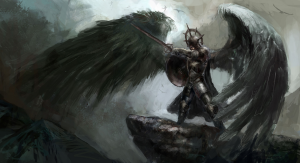 Originally deriving from concepts of helping and tutelary spirits existing in mythologies the world over, angels later became associated with Christianity and Judaism, and for the past 30 years have become popularized as kind and helpful beings devoted to guiding and protecting each person on earth. This is completely true of the good angels, but unfortunately, not all angels are good. Some are bad, and it is extremely important to understand who the bad ones are, what they are like, and why it is important to avoid them, and clear one’s self from the manipulative harm they have already caused in your life. Good angels are here to guide us. They walk with us and protect us from harm, and by connecting with them and accepting their guidance, our lives can be much happier and more fulfilled than they otherwise could possibly be. They are beings that care about humanity, and under the leadership of Archangel Michael, are everlastingly involved with guiding, protecting and helping humans in solving their everyday challenges, and guiding humanity towards the ideals of the brother-and sister-hood of all. I wrote this because it is a true message from the angels of light, and one that can be tremendously helpful in everyone’s life. Besides the good angels of light, there are also bad or ‘dark’ angels. Dark angels became bad through the misuse of ‘choice’. Instead of acceptance when Spirit created humans, they ‘chose’ to be hateful and jealous, and for this reason decided to concoct a nasty plan to harm and corrupt humankind. Their evil intent is to misguide people, sabotage happiness and cause chaos. While good angels want to help humanity grow, develop, and love Spirit, bad angels want to destroy. They seek revenge through intentionally harming the humans Spirit loves. Although this cosmic drama has been going on for a very long time, most people have no clue that such a thing is actually occurring. For this reason, most people whose lives are radically interfered with by dark angels, and not aware of what is happening. That is why they do not take the steps necessary to undo the harm the dark-side ones create, and instead perplexedly accept their plights as unavoidable. This is the reason I do angel readings. 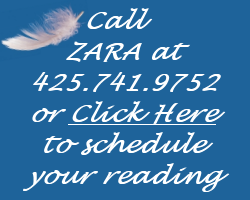 Through my angel readings, I connect with the good angels of light and help them help my clients to unravel the webs of difficulty and confusion spun by the dark side, and therefore help the clients to clear their old problems out of the way, and instead lead a newly happy and successful life. 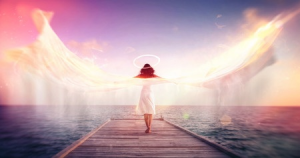 While most people merely suffer through the ‘unexplainable’ problems of their past that continue to affect them today, the fact is that completely accurate messages from the angels can help you wake up and learn to deal in new creative ways, to virtually cancel out problems stemming from the past, and to choose an enormously positive direction for the future. Angels can help you open your life to the place where you can fully express your reason and your purpose for being here, and are then able to live a happy and fulfilled life. 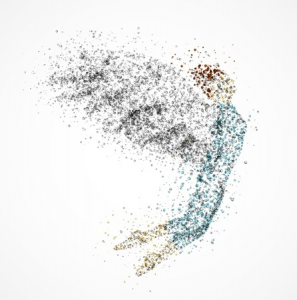 This hidden conflict represents the reason that it is important for each human to connect with good angels and to honor and accept their guidance. This is because things are going on in the heavens and on earth that are deeply affecting humanity about which most people are profoundly unaware, and unless we open our awareness and listen to the good angels’ guidance, we are actually in more trouble than we know. The ‘trouble’ I refer to affects us both micro-cosmically, (e.g., in our personal relationships), and macro-cosmically in terms of national and world affairs. In the sphere of personal relationships, the dark angels and their demons work overtime to influence conflicts and misunderstandings. In the sphere of national and world affairs, they instigate oppression, war, disease and all forms of strife.